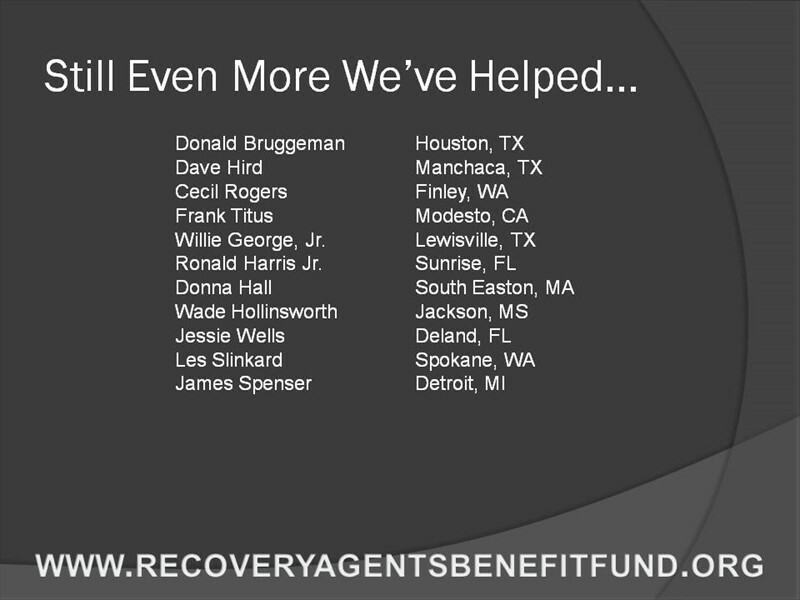 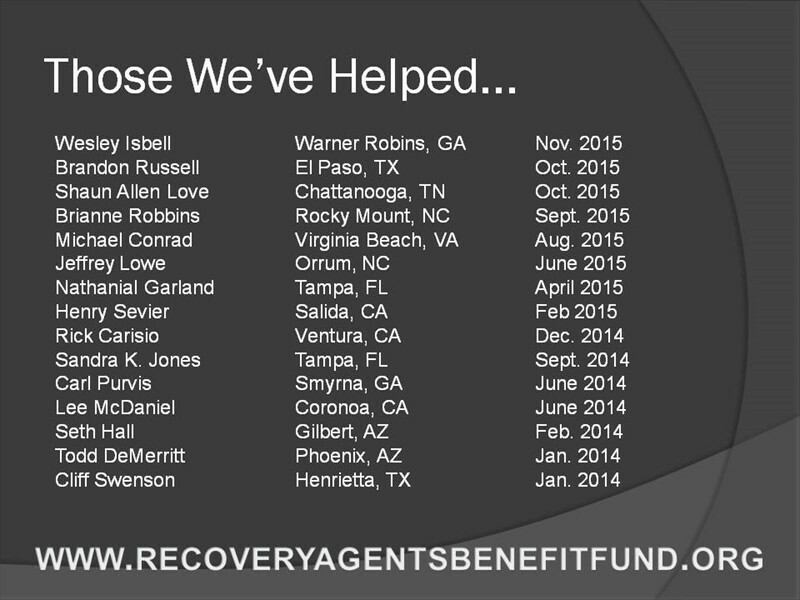 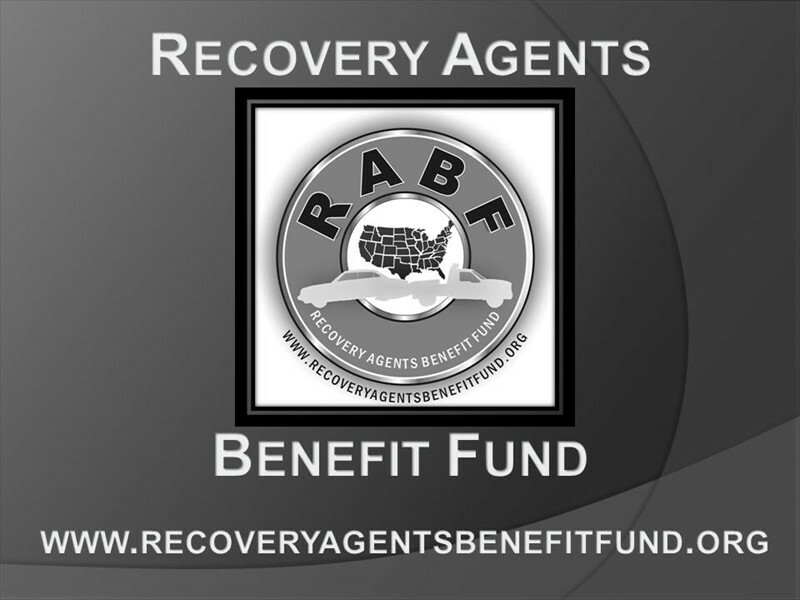 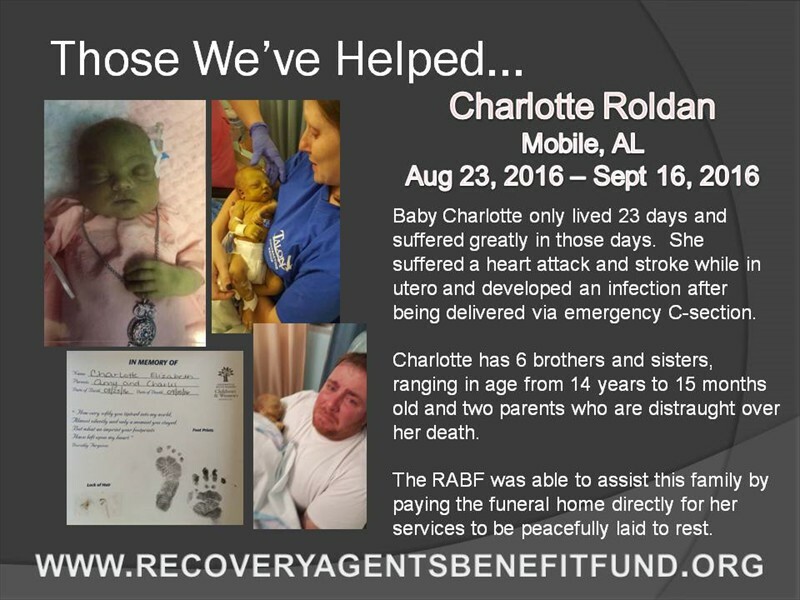 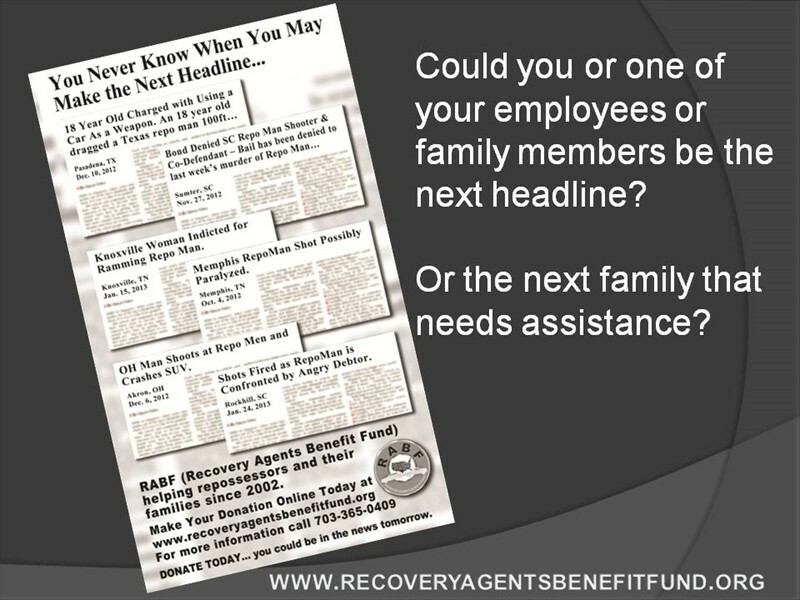 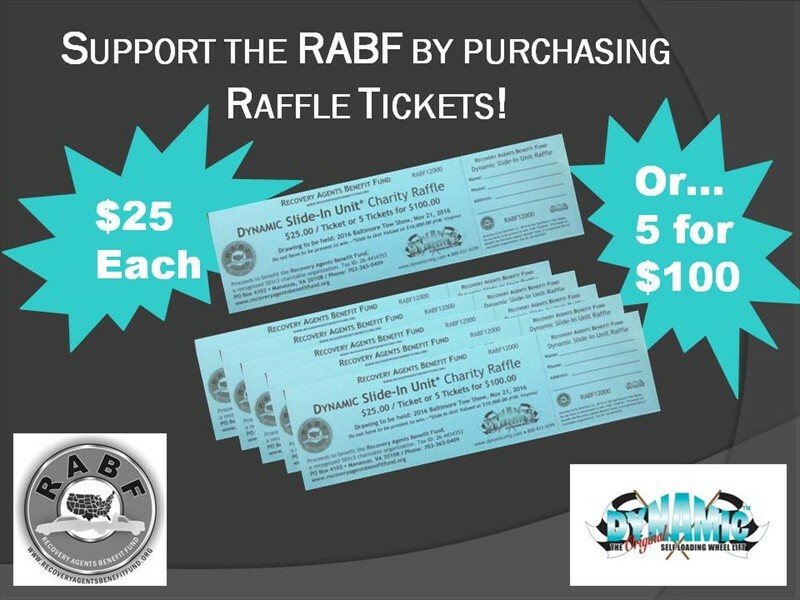 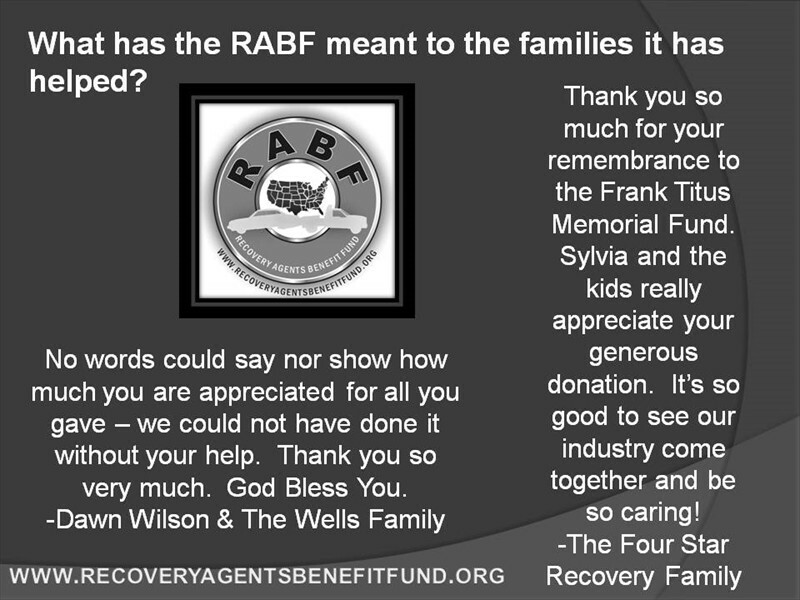 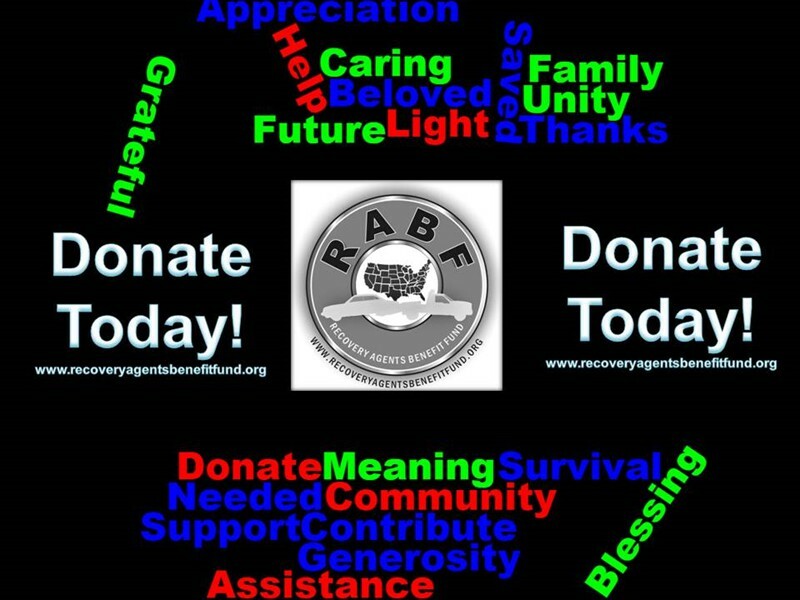 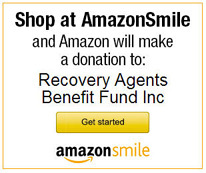 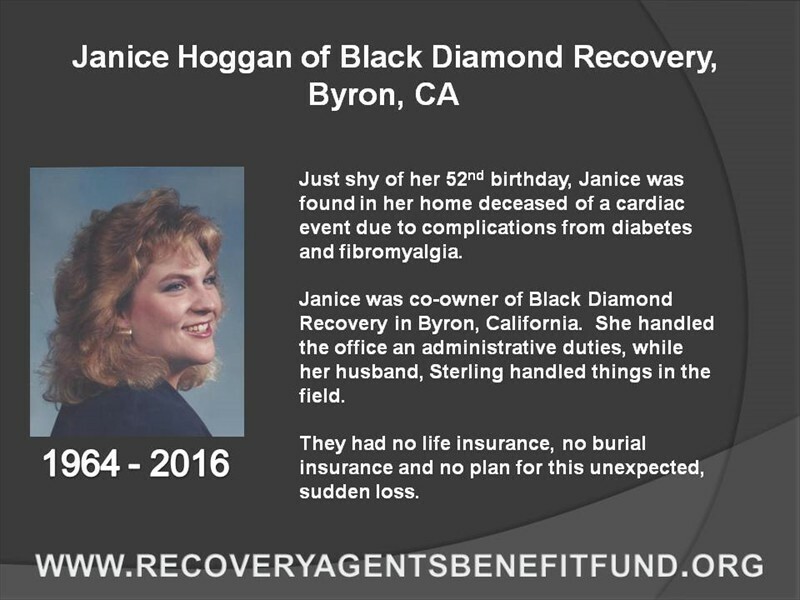 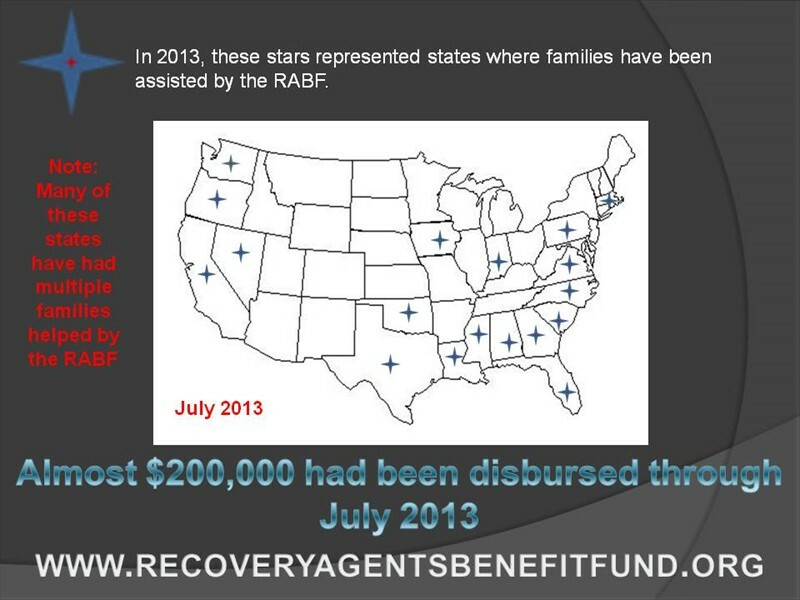 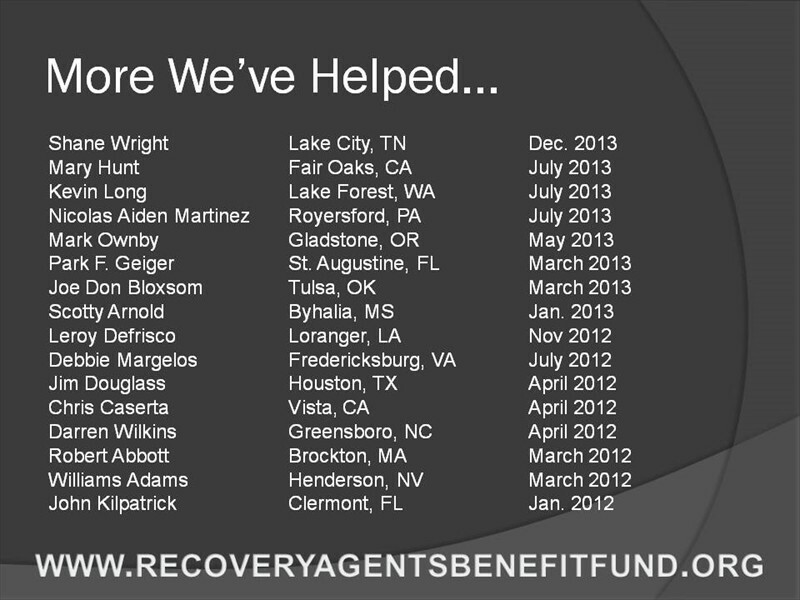 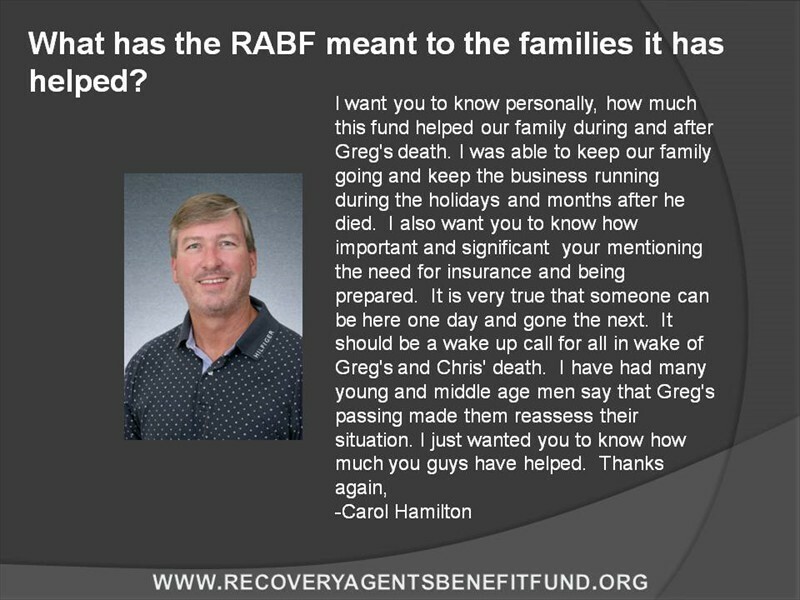 In 2002, Ed Marcum asked the Board of Directors of Recovery Specialist Insurance Group to donate the funds to open a bank account at The Fauquier Bank to establish the Recovery Agents Benefit Fund (RABF) and later started the lengthy process of becoming a non-profit. 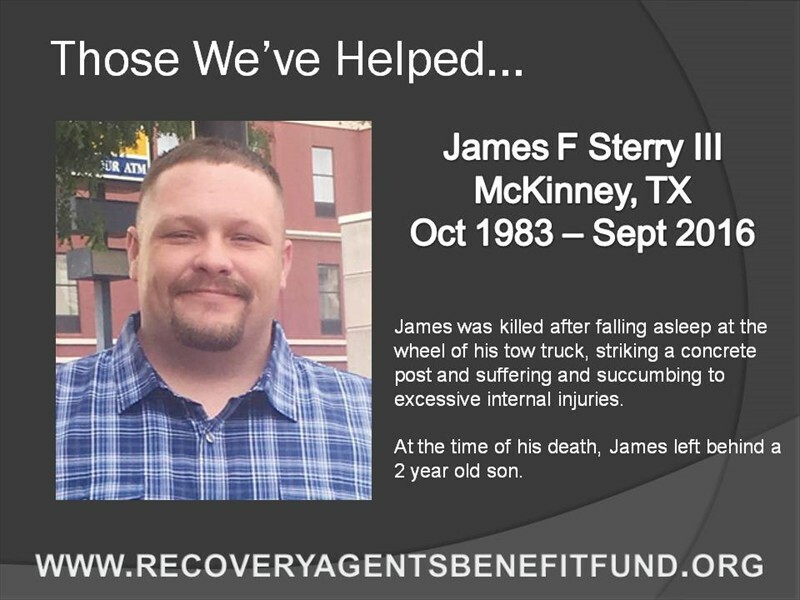 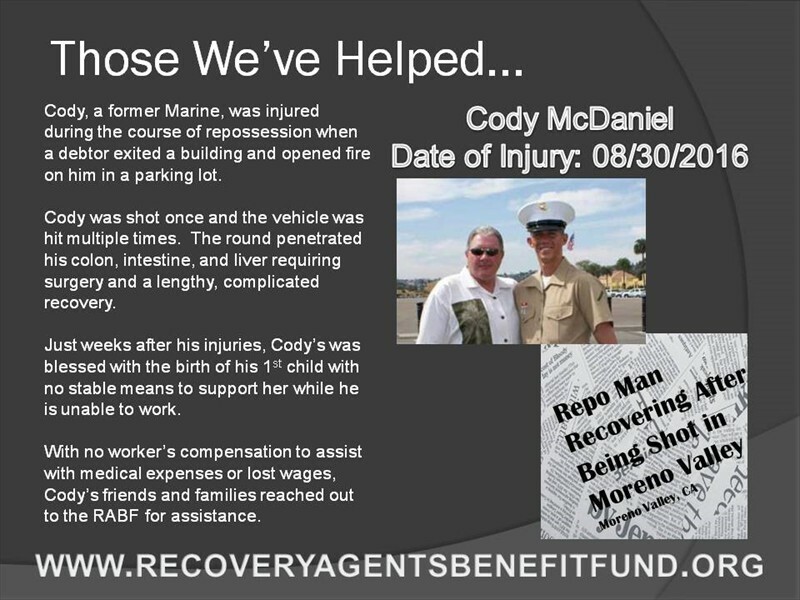 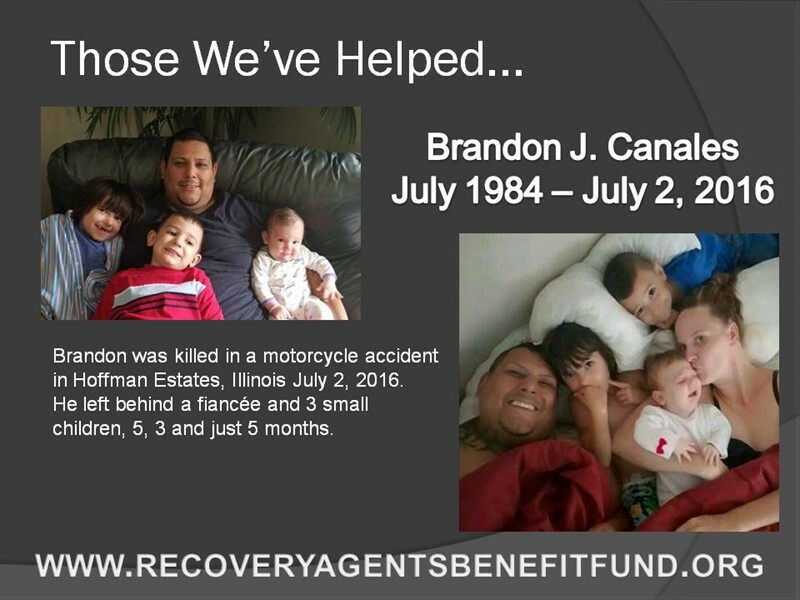 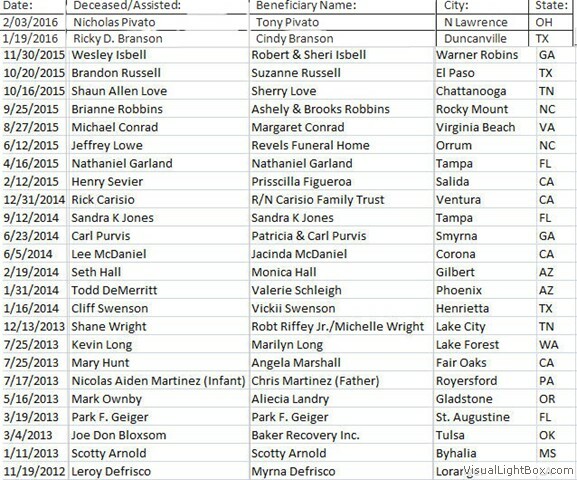 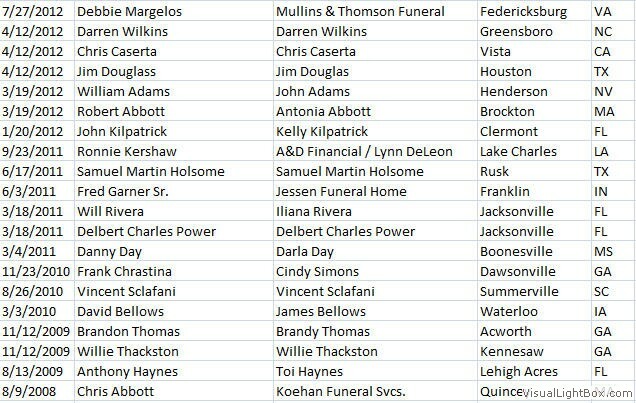 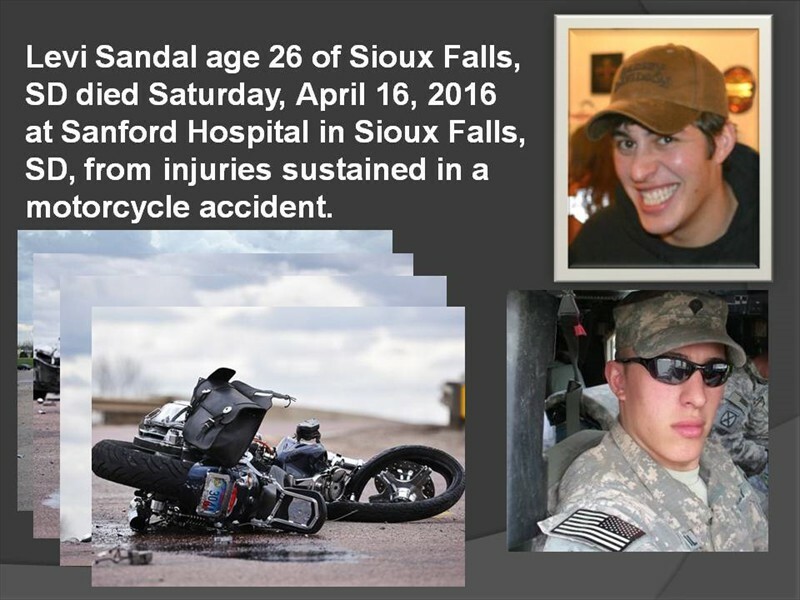 Since that time we have made distributions to over 50 families who called on the fund because of falling on exceptionally hard times due to debilitating injury, illness or death. 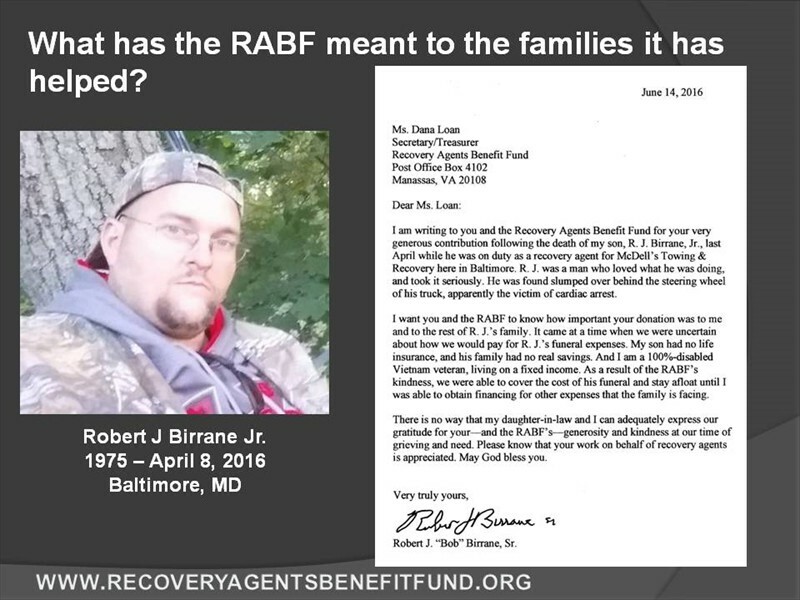 This includes times when the fund was called upon because families did not have the money required to pay the expenses to complete their loved one's burial. 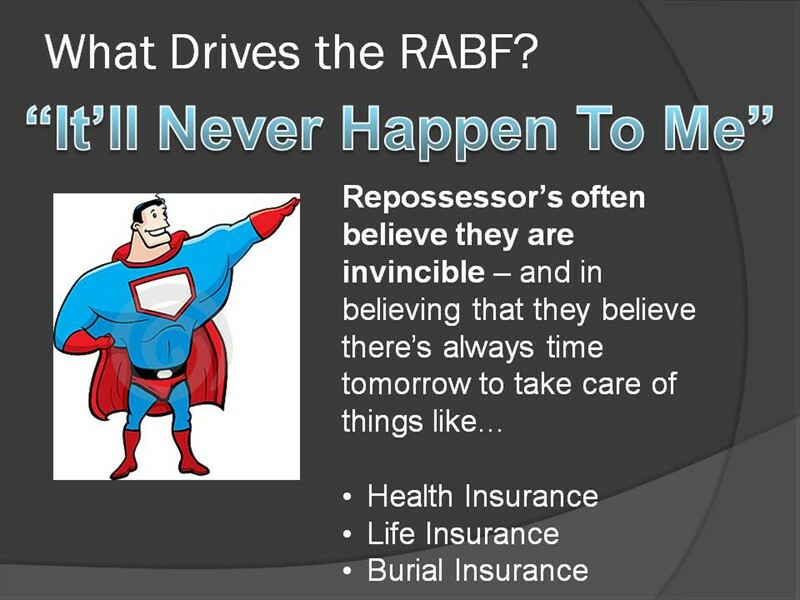 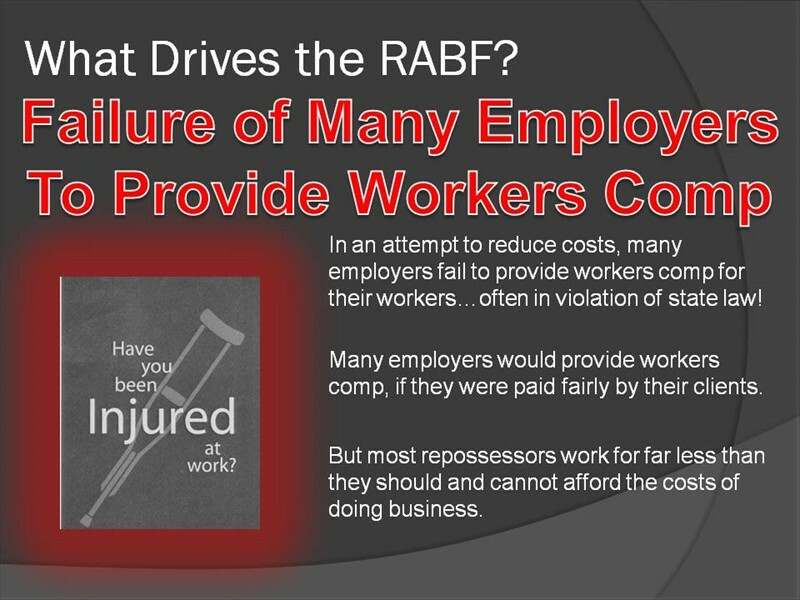 RABF is available to anyone in the industry regardless of their trade group affiliation or insurance provider, whether they are an owner or an employee. 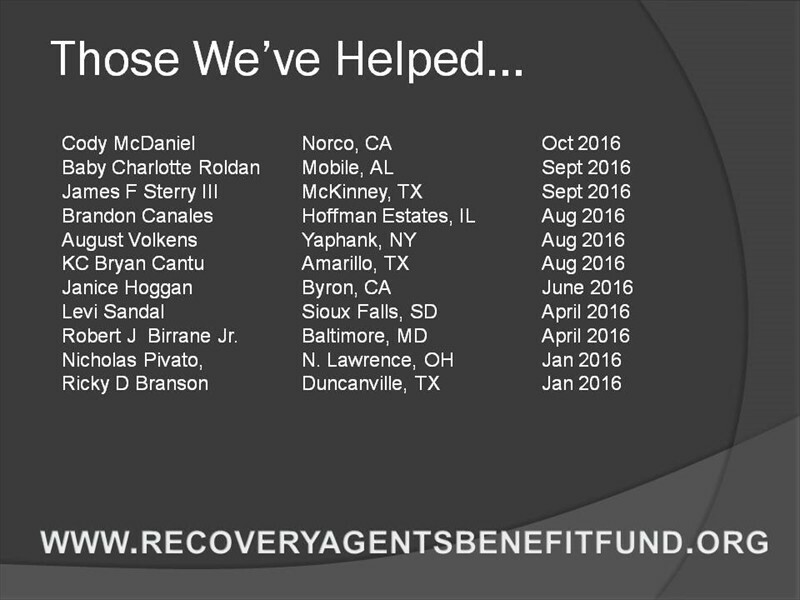 Requests for disbursements are reviewed on a case by case basis. 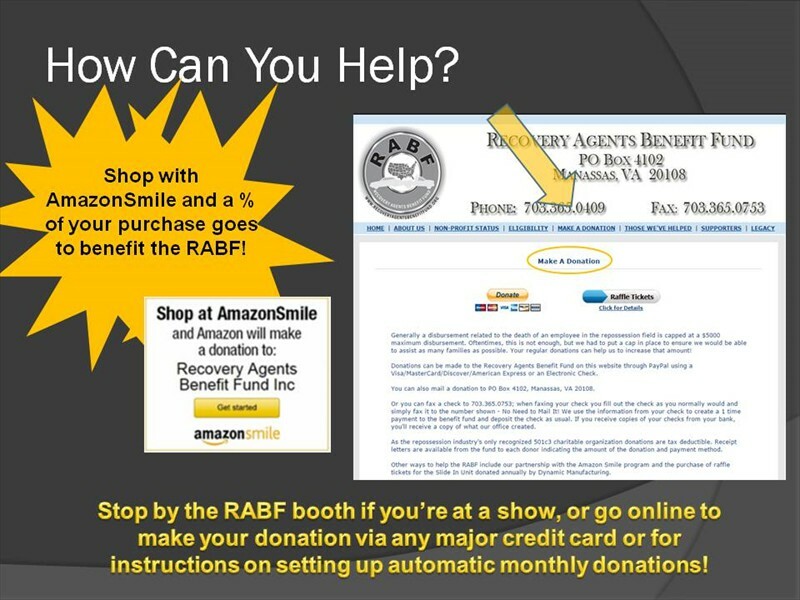 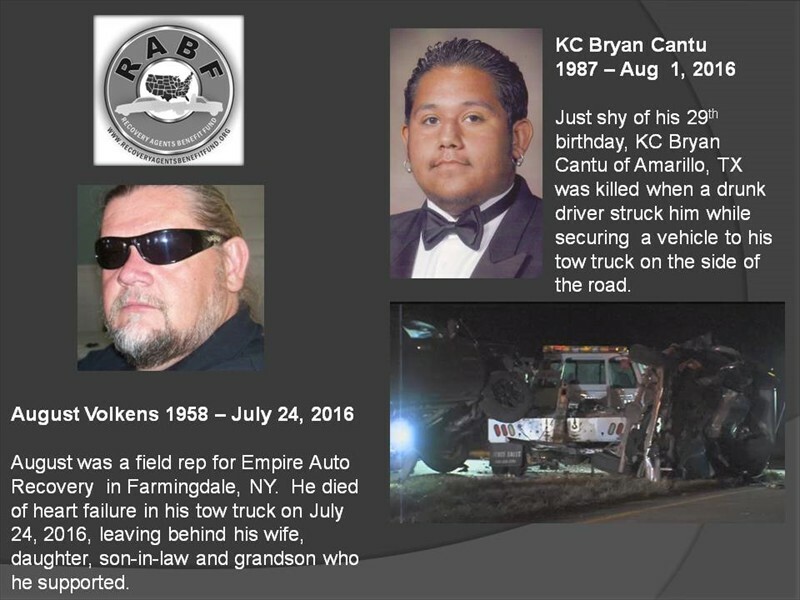 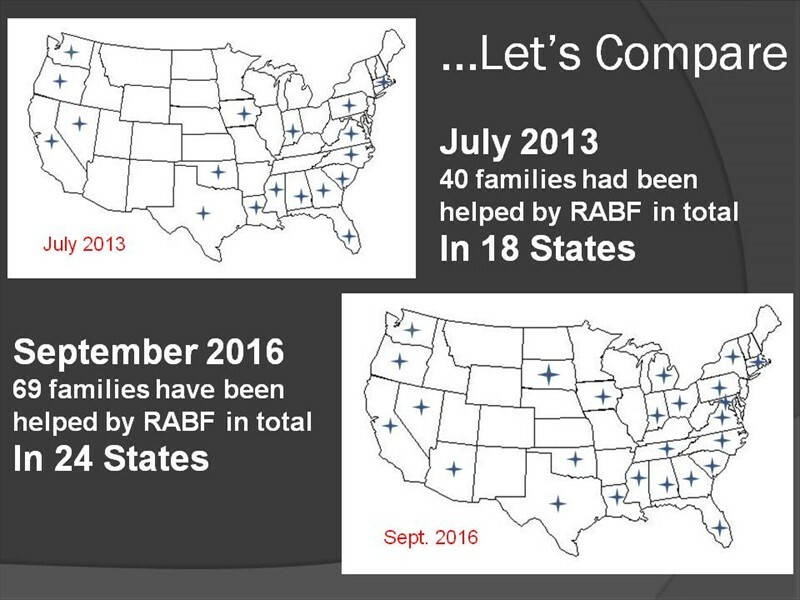 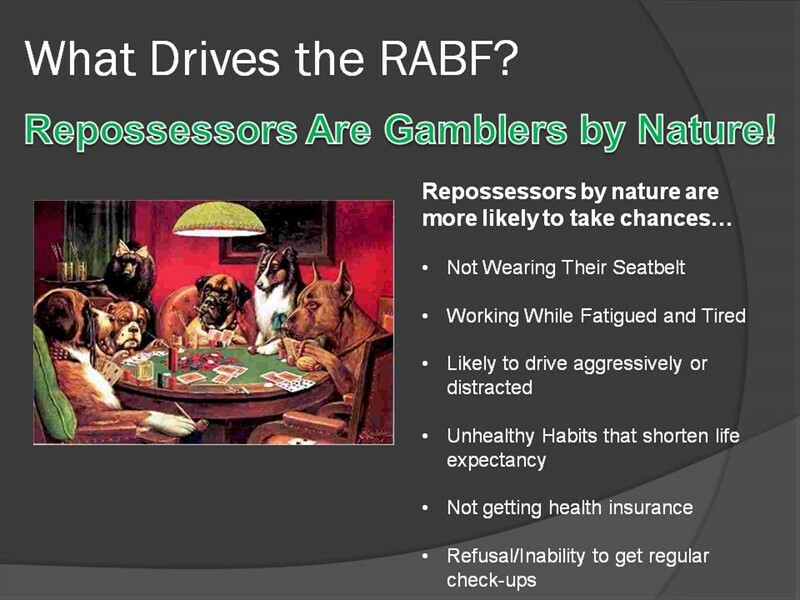 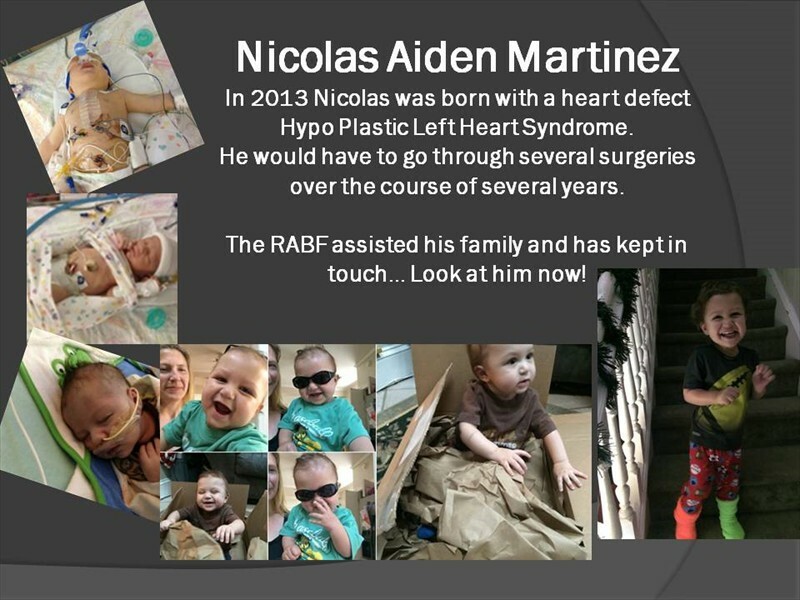 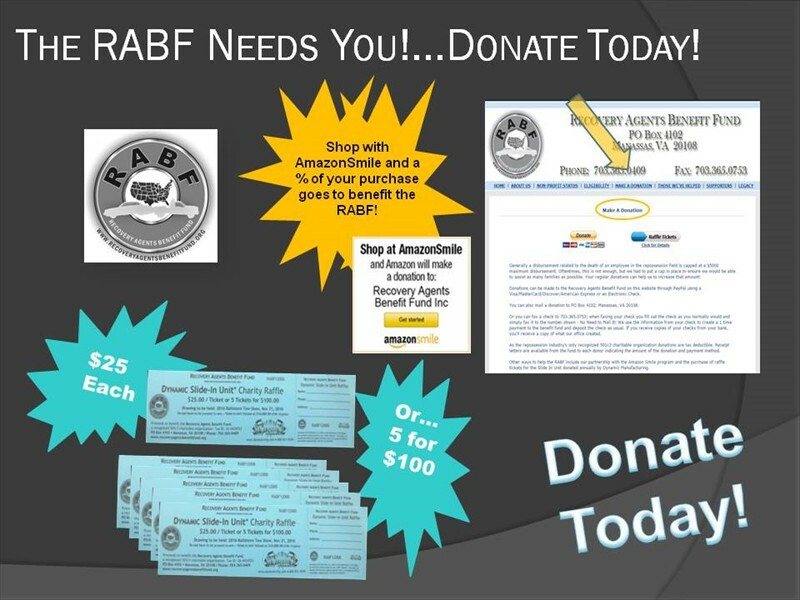 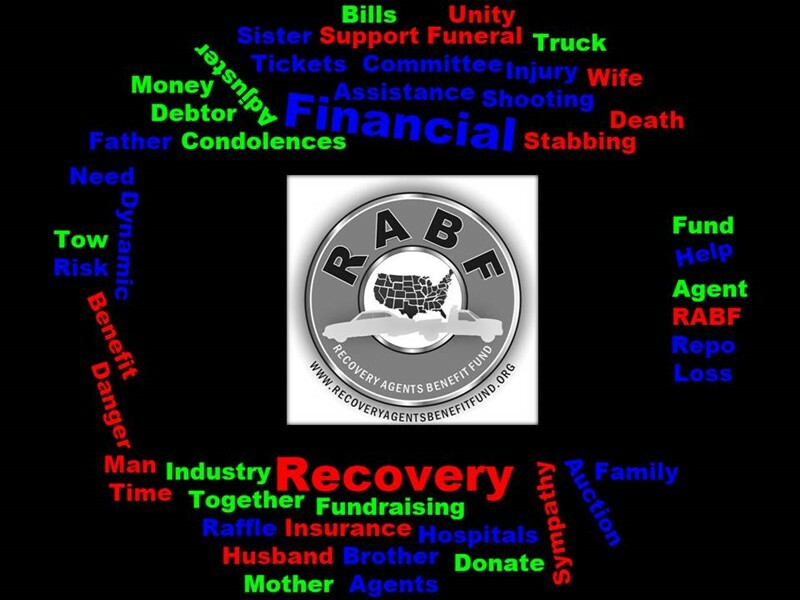 Accounting services for the RABF are donated by an independent certified public accountant; and no one involved with the fund draws any sort of financial compensation for their time and efforts.